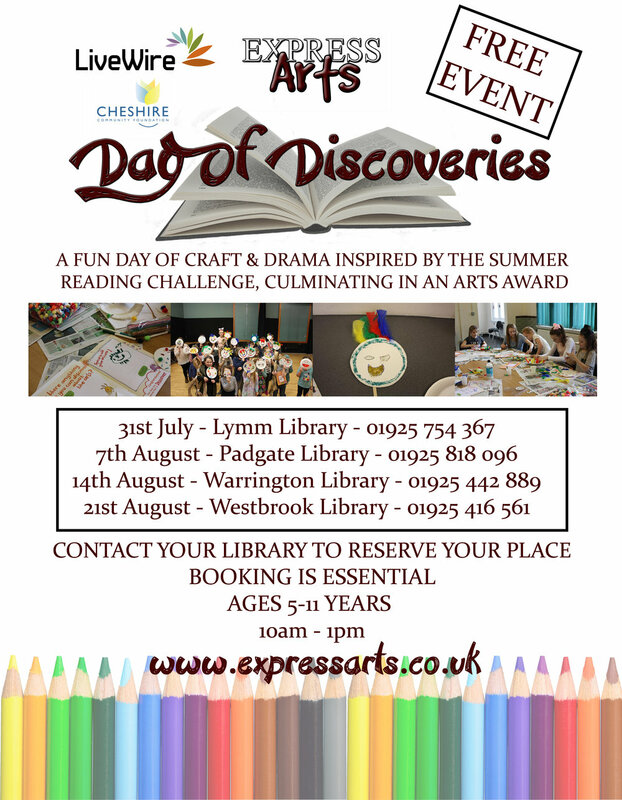 This summer we took our Day Of Discoveries workshop to 4 different libraries around the Warrington area. Our aim was to introduce children to idea of inter-disciplinary creative work via drama and art along with emphasising the need and benefits of our local libraries but linking it to the summer reading challenge. All participants also achieved their Discover Arts Award which is a nationally recognisable qualification! The workshops were a brilliant success with all dates summoning a great amount of interest! The Workshop we ran involved some fun warm ups and get to know you games. We then spent some time making animal masks using the summer reading challenge 'Animal Agents' as inspiration. We then played some fun drama games that looked at how to use our bodies and faces to exaggerate emotions and how to develop a storyline for our drama pieces. We then went on an exciting detective hunt around the library! Every group was given a clue, this clue once deciphered led to a specific section of the library where the children found a prop hidden away! This prop was then used to create a fun filled piece of drama full of spies, detectives, kings, queens, baddies and lots of dramatic plot twists! Throughout the day, everyone took some time to reflect on what they had been doing what they enjoyed and they also learned about some exciting Illustrators in order to fill out their Arts Award booklets. We all had a blast taking part in this project and would like to thank everyone involved, especially to Livewire and all the Libraries for their gracious and enthusiastic hospitality!!! Everyone who took part have successfully passed their Arts Awards and we cannot wait for them all to get their certificates in the post! We hope to build on this project and hopefully we will see you in more libraries next summer!! !